One, because, one of the most fundamental aspects of developing insights is the ability to study and recognize patterns. Two, because art is a wonderful source of creative inspiration. And three, because the depiction of women in art has something to say about centuries of power imbalance and inequality, and recognizing patterns in macro systems like culture and society is vital in having a true understanding of our context and the world we inhabit and create. 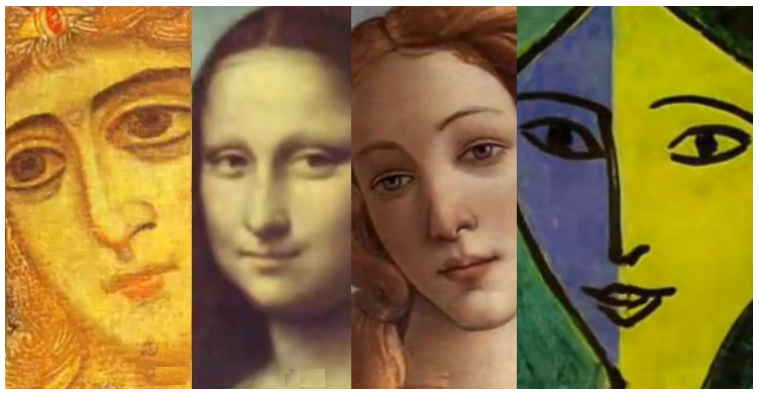 The video itself morphs between close-ups of 90 women’s images in paintings, while the link below indexes the paintings and provides additional information and context about the painter and the year it was painted.